Cottonwood Heights, UT is a sought-after location in the Salt Lake Valley because it is nestled near the foothills close to the Cottonwood Canyons. Owning a home in Cottonwood Heights provides easy access to some of the popular local ski resorts along the Wasatch Front. As a result, home prices stay high, giving you the advantage of maximizing your home investment as much as possible. If you own a home, then it is essential that you think about the home improvement projects that can help with property value. Investing a little money in your home right now can be a great way to increase the asking price when you are ready to sell in the future. One task that should be at the top of your priority list is replacement windows and doors for the entire home. Here at HomeStar Windows & Doors, we offer the services and products that you need. You are welcome to contact us anytime to learn more about the options that are available. Why Replacement Windows and Doors? 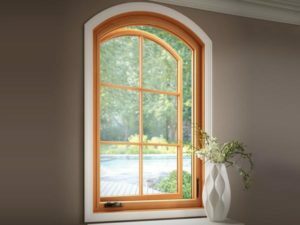 When you have a limited budget for home improvement projects, why should you choose replacement windows instead of some of the other options that are available? By installing these products, you will be able to enjoy a long list of advantages. When you understand these benefits, it is easy to see that new doors and windows are a great investment for your home. Improve Curb Appeal: What do people think when they see the outside of your home for the first time? Curb appeal affects the first impression that people have when they come to visit. Additionally, curb appeal can also impact the value of your home. Property Value: Home improvement projects, such as replacement windows and doors will boost the value of your home. When you decide to sell in the future, you will be able to ask a high selling price. As a result, you will have more equity that can be rolled into the purchase of your next home. Interior Light: It is nice to have plenty of natural sunlight in the living areas of your home. Even when it is cold outside, big windows can bring in the sunlight so that you can brighten up your living space. Get rid of old windows that block the sunlight from coming inside. Energy Efficiency: Did you know that new windows can improve the energy efficiency of your home? Old windows will let in the cold air in the winter, causing your heater to work harder to manage a good temperature inside. Replace the windows to seal off your home, and you will feel good about decreasing your carbon footprint. Save Money: How can you save money if you are investing in new windows for your home? Even though there is an initial investment, you will notice long-term savings because of the lower utility costs. Energy efficient windows keep your home protected from the outside temperatures so that you can reduce overall energy usage. Peace and Quiet: Do you often hear the sounds of noisy dogs or kids in the neighborhood? It can be frustrating to have the peaceful atmosphere of your home interrupted by noises outside. Invest in high-quality windows, and you can block out those sounds to improve the comfort of your home. Maximize Scenic Views: Whether your home faces the mountains or the valley, it is important that you maximize the views that are available. 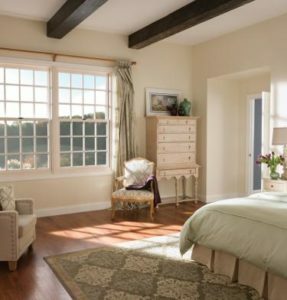 Picture windows can help you enjoy the beauty of the area from your bedroom. As you can see, there is a wide range of benefits that you will enjoy if you decide to install replacement windows and doors. Since Cottonwood Heights, UT is an area that has four distinct seasons; it is essential that you invest in energy efficient windows that help with climate control throughout the year. When you are ready to invest in new windows for your home, then it is essential that you work with the best windows contractor in the greater Salt Lake area. Choosing an experienced, trustworthy contractor means that you will receive high-quality materials and great installation. Here at HomeStar Windows & Doors, we are one of the leading contractors in the windows industry. Our goal is to help you save money and maximize your investment at the same time. We offer high-quality products and prices you will love.